The latest migration policy changes are supposed to give the country one of the world's most welcoming immigration systems, but not all are convinced that the new rules will work smoothly when they come into force July 1. Companies hiring foreign specialists to work in Russia will no longer have to obtain quotas for work permits and visas or corporate permits to hire foreigners, nor will they have to submit diplomas proving candidates' qualifications, according to a law that President Dmitry Medvedev signed last week. 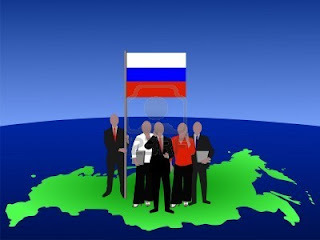 The new rules apply only if the employer is Russian or the local branch of a foreign company, and the employee's annual earnings must be at least 2 million rubles ($64,000). Work permits and visas will be valid up to three-years, up from the maximum of one year now. The work permits can be prolonged for another three years withing the empolyee's individual contract's validity. The reform also introduces minor simplifications to the registration system, which is often cited as one of the biggest bureaucratic nuisances for foreigners. The law abolished the requirement to deregister when a foreigner travels within the country. But the traveler must still reregister at the destination, and deregistration remains mandatory when leaving the country for at least three working days. Auditing firm Ernst & Young, which assisted in the development of the changes, said they were seminal. Once in place, "it is fair to say that Russia will go from having one of the least welcoming to one of the most positive immigration systems in the world for top talent," the company said in a research note published earlier this month. Foreign business representatives also welcomed the reform. "This is something we have been pushing for years," Andrew Somers, the president of the American Chamber of Commerce, said Monday. AmCham held a closed-door briefing Friday with Oleg Artamonov, the head of the Federal Migration Service's international and public affairs department. But experts cautioned that questions remain and much depends on how the new rules will be applied. "The idea is principally very good, but it is not clear how many procedures will work," said Alexei Filipenkov, head of the Visa Delight agency, who attended Friday's meeting. As an example, he pointed to the practice of paying foreigners from more than one source, not necessarily in the country. "How will split payrolls be handled?" he asked. The Ernst & Young report said "structures used to employ expatriates in Russia will need to be revisited, especially those using split payrolls or dual employment, since the implication is that the minimum earnings will need to be delivered via a Russian payroll." Somers said easier rules for hiring foreign employees were urgently needed to modernize the economy. "This is consistent with recent government policy," he said. While difficulties have arisen before with the application of new rules, especially in the regions, Somers said authorities were confident that that would not be the case with the new migration guidelines. "If little wrinkles pop up, we will be happy to call the migration service and solve them," he told The Moscow Times on Monday.